Customer care in 2018 or Stalinist Russia in 1950? As I arrived home last Friday, the lyrics of the song ‘some days are diamond and some days are stone’ came to mind. This one was one of the stones, I was really worrying about where our industry was going. I felt that one Insured was being terribly treated and unfairly punished caught up in a Catch 22 situation that was impossible to resolve. It had taken 6 months for insurers to admit liability and because they insisted on him spending the money first he could not get himself out of the hole. I feel this is not the way it should be done and found myself helpless trying to get it sorted without damage to brand insurance. If this was not bad enough, I was provided with the front cover of an insurance investigators report which had the most unflattering photograph of the insured on the cover. It looked like an innocent person who had just been forced to have their mug shot taken. Worried that my initial reaction of absolute disgust was not brought on by the other claim, I showed it to several senior colleagues, an insurance investigator of some 30 years experience and a police officer. They all felt as outraged as I was, as was the staff member who brought it to my attention. I kept thinking to myself, is this the way the insurance industry, and this particular underwriting agency, wants to treat its customers in 2018? Or have I somehow time warped back into Stalinist Russia in 1950? I was so depressed by both matters that I spoke to my wife about retiring as I was not sure I wanted to deal with this stuff any more. With these thoughts spinning around in my head, I headed off to NIBA in the hope of seeing the CEO of both the insurer and the underwriting agency at the conference to share my feelings with them as I know them both and know them to be good people themselves. I missed one and the other was not there. I did however, hear the talk by Ms Joanna Price from ASIC who raised the investigation into insurance investigators and how the treatment of some customers was not fair. I could not agree with her more. Yes, insurance fraud is a fact of life and I have done my bit to uncover dishonest behaviour, including being part of drafting team for the ICA Fraud Manual. But we all need to treat an Insured with respect, remembering they are a customer who may well be victim. 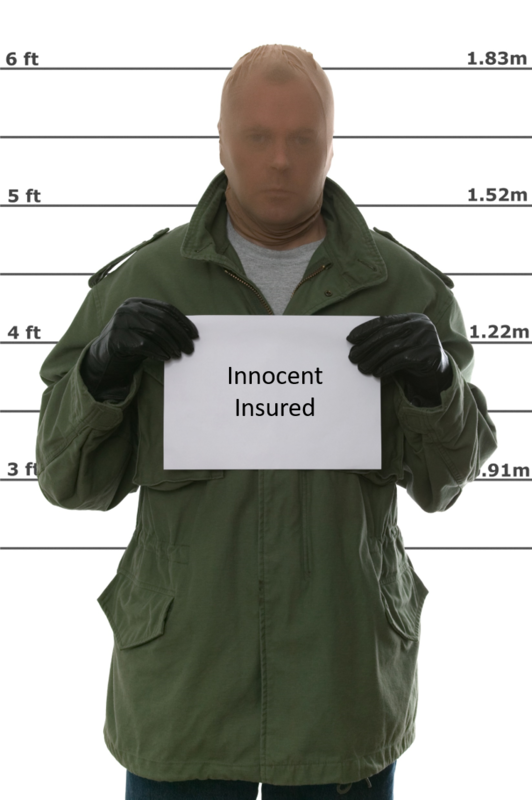 In this case, the Insured was not involved in any wrongdoing. He was a victim, not a criminal and he should not be treated as a criminal and needing to be proven innocent, that is not how the system works. Even when he was found to be innocent, his treatment on the front cover was completely inappropriate. We will be lodging a formal complaint with ASIC on behalf of this client in the hope that this shameful behavior never happens again. For sometime now I have been arguing that if people who provide advice on insurance at the time products are sold, then with general insurance anyone including insurance investigators, building consultants etc, particularly those advising on policy response and or quantum should be required to complete a course on ethics, particularly when our industry requires utmost good faith on all parties to the contract of insurance, and how to interpret a policy fairly. This should not be some 30 minute online tick and flick but a genuine test of the right people to be looking after the insuring public with a review board that can unlicence anyone not acting as they should. Alan, I see this all too often. Having taken on over 300 Cyclone Debbie claims for insured clients who have been poorly treated by their insurers, my experience is that too many insurers START the claims process by assuming that all of their customers are out to fraudulently claim for things that should not be indemnified, and then they treat them like guilty parties as they spend all of their time and energy reducing or denying claims and then justifying their decisions. In fact, there is one popular engineering company (who I will refrain from naming in this post) who has supplied untold hundreds or thousands of reports that do nothing aside from seeking and identifying any and every “maintenance issue” or examples of wear & tear they can, to justify declining indemnity for what is clear high wind damage, simply because a property is a little older. It seems that, despite advertising “new for old” many insurers feel aggrieved when they have to actually cough up the funds to replace an old roof with a new one, for instance, or to upgrade to current compliance. Almost to a person, my Whitsundays clients simply state, “We are not wanting anything we are entitled to – we simply want our house to be put back the way it was before the cyclone”. The fact that I am getting daily calls to take on claims that have been badly mis-managed and people horribly treated, some 18 months after the event, shows that something has gone very wrong with this industry. 1. There is little to no independence through the entire claims process. Nowadays, builders are being used as assessors, loss adjusters own the so-called “experts” they then call on (building consultants or engineers), and any impartial or independent provider is simply not used due to the “panel system” most insurers go with. 2. The complete lack of transparency. So much happens “behind closed doors”. Insurers asking loss adjusters or engineers to change their reports to better reflect the desired indemnity decision (which I have seen first-hand on countless occasions, working in claims departments and as a loss adjuster), “experts” being used for the purpose of purely providing evidence to justify a denial, rather than providing a full and impartial review. I believe every provider in the claims process should be seen to be acting for both parties – insurer and insured. If the insured were included in all correspondence appointing and communicating with service providers, and if those service providers then had to report in the same email to both insurer and insured, you would immediately address the vast majority of issues that lead to these problems. Anyway, just my thoughts – bring on the Royal Commission next week, because there are many dark corners in this industry that need to be brought to light!